Also comes inAdult Plus and Kids. There are always some big questions lingering over common items and practices, and Mr. Potato Head is nearly at the top of the list! Who first thought of making molded pieces of a face to adorn your boring old potato? That's not where the Potato Head questions end, either. Who decided that this newly anthropomorphic potato man needed a wife? And who came up with the idea to keep his various parts in his rear end! We may never know, but in the end, we're glad they thought of it. It's weird, but it's good old-fashioned fun. 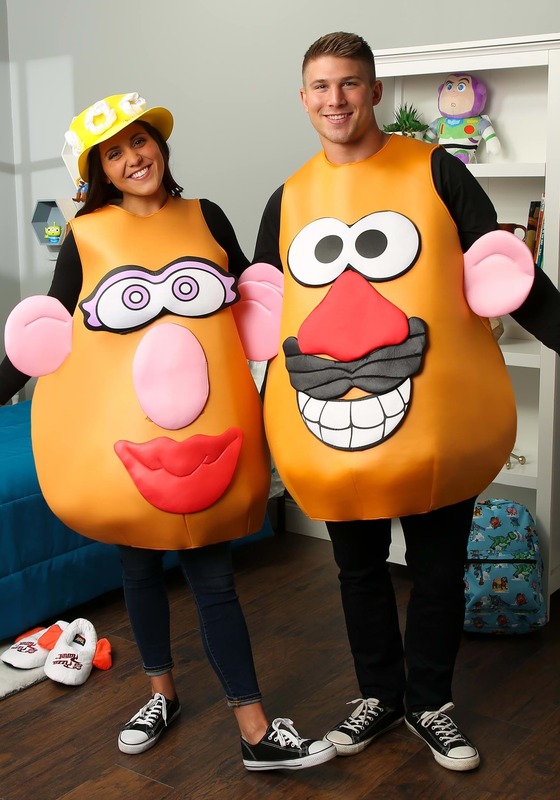 This Mr OR Mrs Potato Head Costume will be a blast from the past. We just hope you're not plagued with an existential crisis when you're supposed to be partying. This costume is perfect. I am thrilled witih the ease of putting it together and the comfort of wearing it. great costume. Was this review helpful to you?YesNo1 person thought so and 0 didn't.